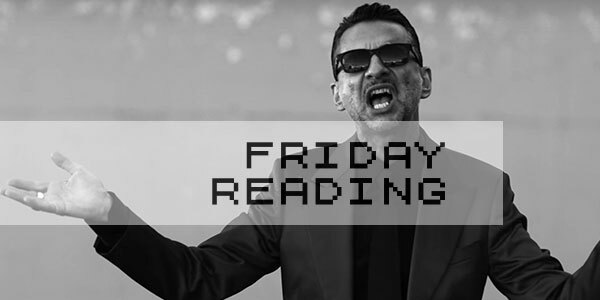 Friday Reading is a weekly series of recommended reads from the Guardian’s Social and New Formats Editor Martin Belam covering journalism, media and technology. It is also available as an email newsletter and sometimes comes out on Saturday by mistake – sign up here. A fantastic double-whammy of reporting and comment on that viral video of the woman cyclist smashing a van’s wing-mirror after being cat-called. My former colleague Sophie Warnes has written this about the concept of ‘tabloid data journalism’ and her experiences of trying to do it when we worked together for the Mirror at Ampp3d. She also has a newsletter about interesting data journalism stories called Fair Warning which you should sign up for. We are trying to raise funds to help set up a community theatre and arts space in Walthamstow – please help. The New York Times is experimenting with mobile-specific headlines. Interview with Matt Kelly about pop-up newspaper The New European. Interesting to compare its fortunes and strategy to that of The New Day. Study backed by Guardian says new laws and interception of communications make it harder for journalists to protect sources. A Kickstarter for a product that is a combined phone case and VR viewer for the iPhone. But will the press be there? A look at how to avoid setting up perverse incentives at work, which also includes a brilliant apocryphal anecdote about dangerous snakes in colonial India. Made me pull the thinking emoji face about chatbots. Andy Votel mixtape of Can gems. Expires in a couple of days. Oh this is marvellous. A road-race game where you get punished by pop-up ads.